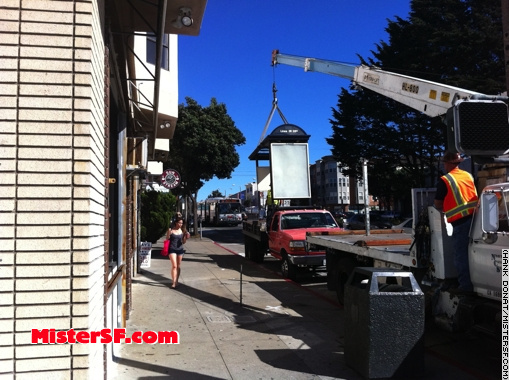 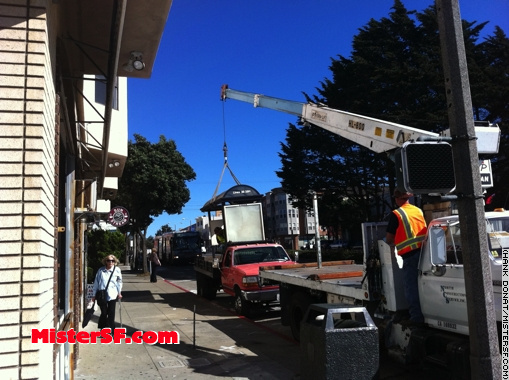 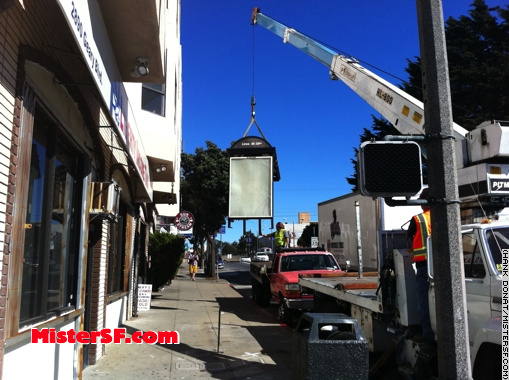 Dateline: The Inner Richmond, 2888 Geary Boulevard where Mister SF catches an “In with the New” in progress. 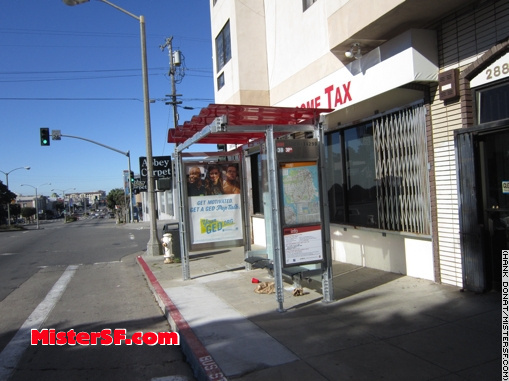 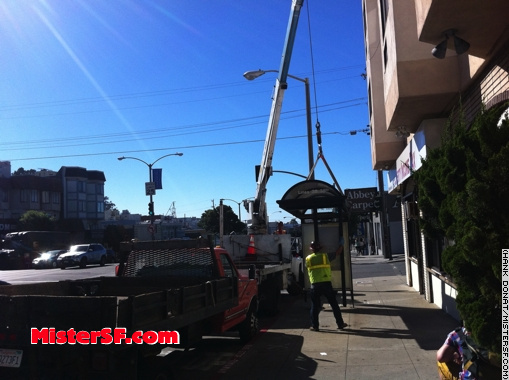 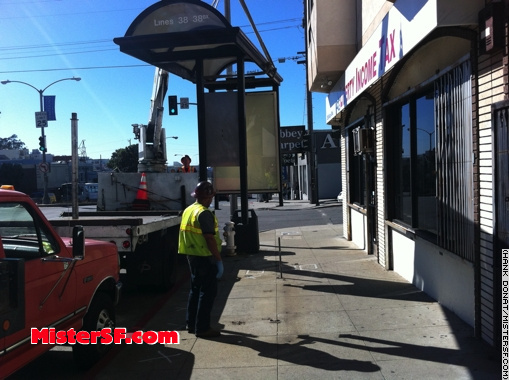 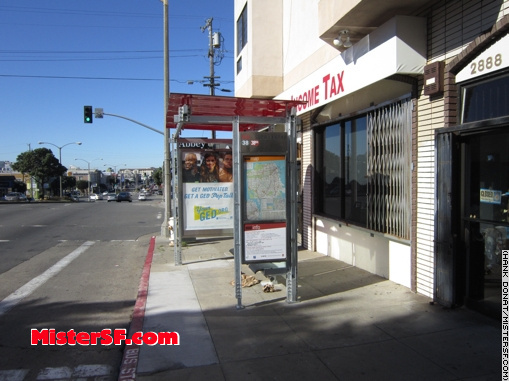 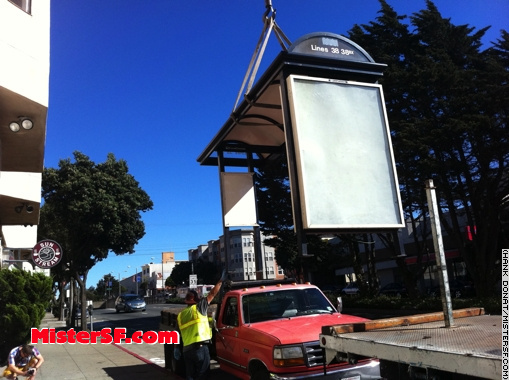 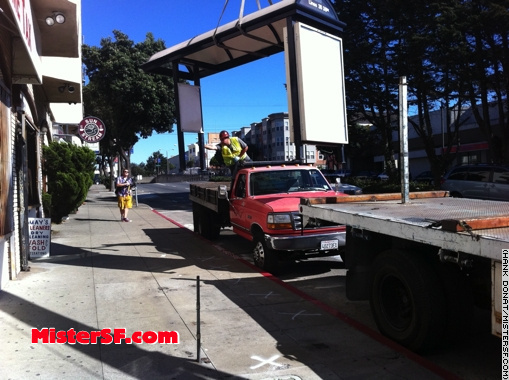 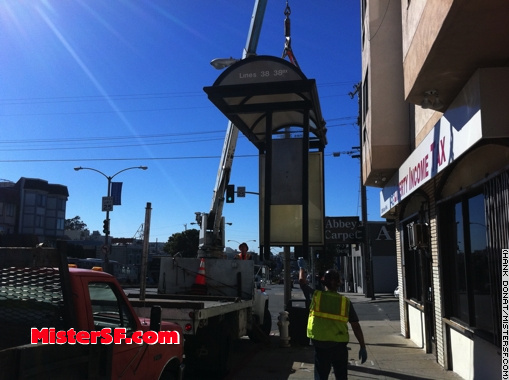 Muni began replacing the first of 1,400 outgoing 1990s-era JCDecaux bus shelters in 2010, starting with a few stops downtown. 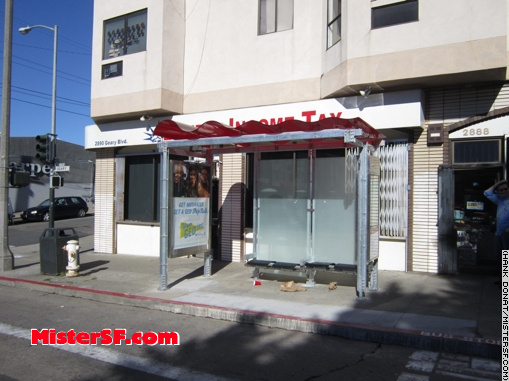 The new ribbon-style shelter was created by a local firm, Lundburg Design, after Muni selected its design in a competition. 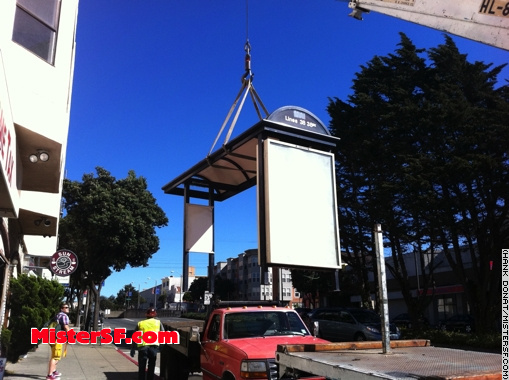 If Mister SF is the beholder, the outgoing shelters offered a classic, international appearance reminiscent of the Art Nouveau gates and street furniture in Paris. 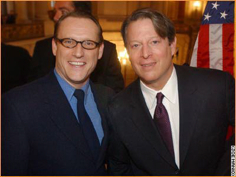 The new design is all Frankfurt. 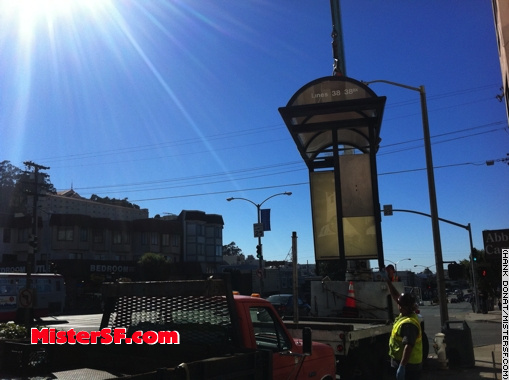 We love both of those cities but, as always, we love San Francisco more.